Ed Rollins has long been considered one of America's premier political strategists and communication experts. He has managed political campaigns for candidates and initiatives in this country and around the world, including President Ronald Reagan's 49-state landslide reelection campaign in 1984. Rollins has also served in the administrations of four U.S. Presidents including serving two tours of duty at the highest level of the White House as Assistant to the President. Most recently, he served as National Chairman of the Huckabee for President Campaign in 2008. In addition to his unparalleled and extraordinary political insight, Rollins' experience and track record of building winning coalitions, bringing together diverse views, and reaching across party lines, provide audiences with an enlightening, engaging perspective and approach to tackle today's most newsworthy, pressing and complex issues. Ed Rollins brings a fresh and innovative approach to help you achieve your full potential in the fast changing and increasingly challenging political, non-profit or business environment. Whether you are looking to enhance your business’ visibility, deal with a crisis, drive an issue of importance, or campaign for public office, he brings the expertise, experience and imagination to drive strategies, execute tactics and smartly plan your next moves. Edward Rollins is considered one of America’s premier political strategists and communication experts, specializing in issue, image and crisis campaigns on behalf of corporations, governments, and political candidates around the world. 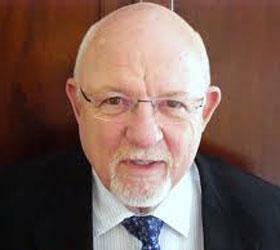 Ed Rollins is a veteran republican strategist who believes that the key challenge in building a successful campaign is strong infrastructure. He is more than just your consultant – he works as an integral part of your team. And as your teammate, he reaches beyond a generic, one-size-fits-all approach to build customized solutions that lead to an unlimited future and unparalleled success.